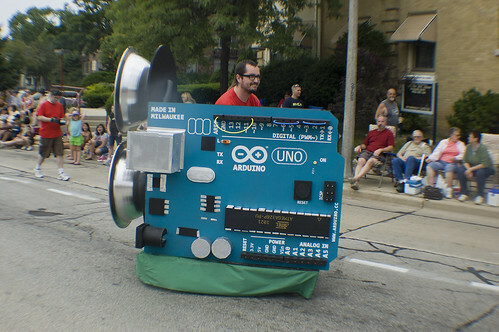 Last year, the Milwaukee Makerspace participated in the South Shore Frolics Parade with a giant driving Arduino, a driving 10′ tall can of Old Milwaukee Makerspace beer and a fleet of power wheels racers. In short, it was a blast. 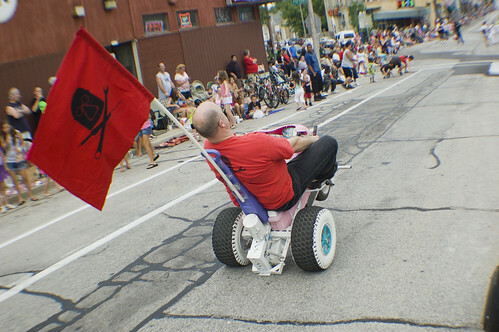 I’ve lived in Bay View for the last 6 and a half years and a highlight every summer has been the Frolics Parade. 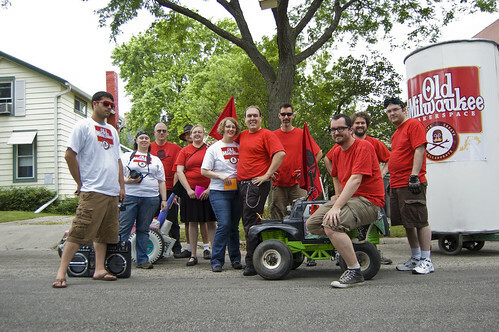 For long-time Bay View Residents, the Parade has been a summer highlight for over 60 years. Being in the parade and producing such fun floats for it was more fun than i thought it would be and we immediately started scheming for the 2012 parade. This year, it doesn’t look like we’ll have a Frolics Parade, though. For the last few years, a corporate sponsor has footed the considerable bill for the parade. They are unable to do that again this year and the Bay View Lions Club is left without the funds for a parade. David and I, along with several other Bay View neighbors have been working with the Lions Club to see if we can scramble to raise the funds for the parade. $13,000 is needed for the city and county alone to cover the permit, closed parking meters, re-routed buses, police officers and cleanup. Yow! I wasn’t aware that there was such a high starting bid for a parade. On top of that, many bands and groups require payment to travel and participate in the parade. We quickly pulled together a website, voice mail and twitter account and a bunch of fliers to try to get the word out. David talked to every business from the White House to Hamburger Mary’s on KK last Saturday and had a lot of interest. We need to head back this weekend to see if we can secure any commitments from those businesses. Members from the Milwaukee Makerspace have pledged $2,000 to kick things off, but we still have $20,000 to raise in almost no time. We’re giving it a week to follow up with Bay View businesses to see if we can arrange any commitments for funding. 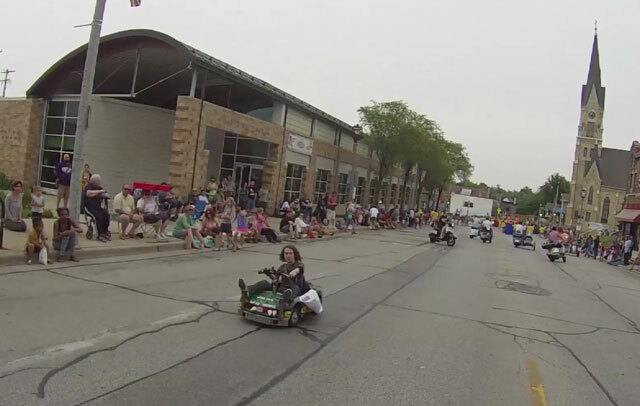 If you love the Frolics Parade, ask your favorite Bay View Businesses if they are willing to help save the parade this year as you get a bite to eat, a cup of coffee, a haircut or a drink this week. If you have the means to make a significant donation yourself, please get in touch. We’ve also thrown out a pretty cool incentive. For any group that donates $5,000, the Makerspace will build a float for you. 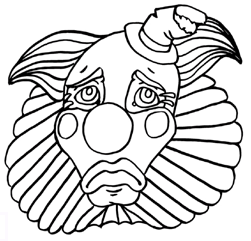 For donation and contact information for the parade, head over to the Save the Frolics Parade website at http://www.bayview-frolics-parade.com/. 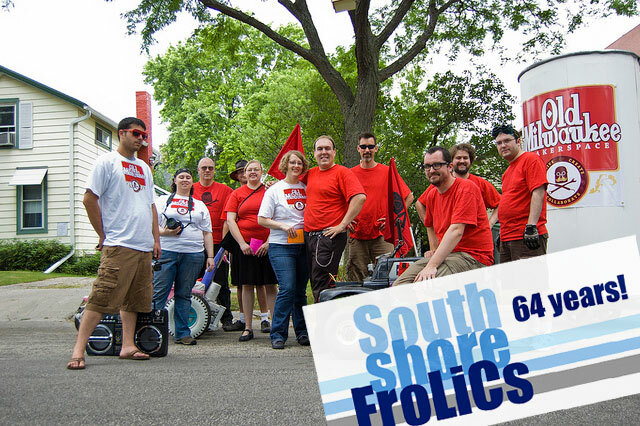 We’re coming to the end of our South Shore Frolics Parade Float builds! This has been an incredible process. Last night we put the graphics on the cylindrical sign, and stood back to enjoy the glory of our handywork. Thanks to Tom, Kevin, Matt N., Bob, Mike, Shane, Elizabeth, Adam, Sean, Kristin, Amanda, Jason, Aaron, and anyone I might have missed who helped get this together! I pose next to the completed thing. Intense!! !